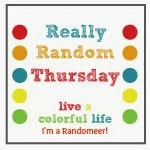 Live a Colorful Life: Really Random--And Another Giveaway! Did you enjoy Leap Day? Someone left a comment that it was her birthday, so even though she may not win the thread giveaway, I'm definitely sending her something. Not sure what, but I think that deserves some kind of present. There is still time to leave a comment to win some superior Superior Thread. If you haven't checked out the other bloggers, it's definitely worth leaping around. Mark took a picture of this spectacular tree last week. He had dropped me off at my friend, Dotty's, so we could leave for the quilting retreat. This tree is in her yard. We call it a tulip tree, although that is not the proper botanical name. She is married to a Master Gardener. So we should be able to find out the actual name. But it is really beautiful! And I would totally live in that center house. I'm not trying to have giveaway overload around here, but my friend, Riel Nason, selvage quilter extraordinaire, is also an amazing author. 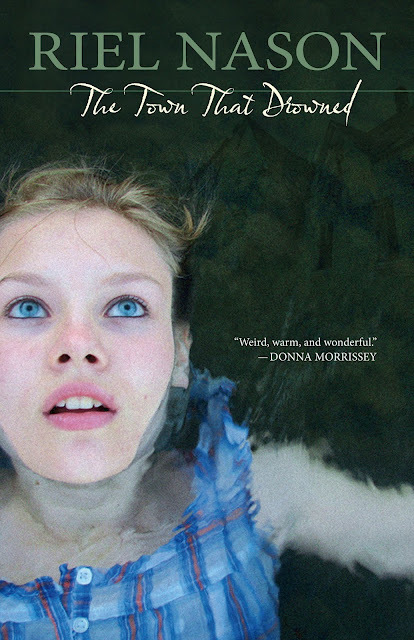 When I read her book, I actually read even more slowly than usual because I did not want the book to end. Her writing style really resonates with me and I could just see myself in the town she was writing about. I'm not offering to give away my copy because it is so worth re-reading. But Riel has generously offered something even better--an autographed copy of her book. She will ship anywhere. Leave a comment here and let me know if there is a book or a character in a book that has just stuck with you, or a book that you find yourself going back to read over and over again. And be sure to go over and say hi to Riel, because her selvage quilting is unbelievable! Now if I could just get Riel to hand over some of these little selvage blocks she is working on! And then I would make a fast getaway in this car. Hi! Thank you for this special give away! I'm a fan of Riel and would love to read her book! I read so much that just can't pick any favourite now. I know the feeling you try to read slowly so the book wouldn't end! I would love to win this book. The Stand by Stephen King really stuck with me. As did many of his other books. There were so many different characters in it. I've re-read parts of it from time to time. It's very long which is a huge plus if you like it! Too fun. I love your random posts. I would live in that orange house, too. How fun to have one of your photos featured in that mosaic! Love your selvedge blocks! Love a good book you can dive into, and I so know what you mean about wanting to read slower so as not to reach the end! 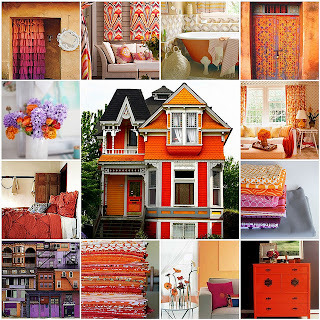 Oh, and I love that orange house too, and those selvedge blocks! So many characters stick in my head that it gets kind of crowded in there. Good thing I like a party. 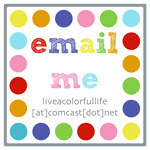 I would love to meet someone new. Thanks for the chance to win. A book that literally changed my life is "The Purpose-Driven Life," by Pastor Rick Warren. Though that's a spiritual book, I try to read it every year. For fun reading, I've again been enjoying the "Earth's Children" series by Jean Auel. You know, "Clan of the Cavebear," and such. Also, "The Help" stuck with me for a very long time. I LISTENED to it first, and have to say that the reader did an outstanding job with the voices. Even if you've read the book, you must listen to it too. Hey, thanks for the chance to win a print book. I can't remember the last time I READ a good work of fiction. I'm mostly a listener. The books that have stuck with me are the Little Britches series by Ralph Moody, especially the second book in the series, "Man of the Family." I read the series to my kids more than 10 years ago, and just loved it. I have been wanting to read Riel's book too and I love her selvage projects! Maureen always has the best collages on her blog. I could easily live in that orange house too. When I was a girl, learning to ski, I named each mogul a character from James and the Giant Peach as I skied over it, and that made them friendly bumps instead of frightening hills! I'm a book lover, currently reading The Language of Flowers with my book club. Thanks for the chance to win this one! Love the giveaway and thanks for it. I've been a huge fan of Anne of Green Gables, ever since my mother and I read the first book together, way back in ...er, let's just say it was a while ago, hmm? The book I go back to time and again is 'The Timetravellers Wife' I adore it! I just bought the town that drowned. it was awesome!! I'm from the town that the book was written about and have read it twice in one week. I also work at the historical village that is mentioned in the book and my dad works at the dam that caused the town to drown. My life is kind of a silver lining to the grief people went through in losing their beloved homes. Im also an avid quilter. Id looooove to have a signed copy of the book to share with my book club!! That looks like a great book! I have lots of books that I go back to over and over but my longest standing favorite has been The Girl of the Limberlost. Looks like a great book! I love Riel's sewing-I can't wait to see about her writing! ;) I will definitely have to look for her book. Anne of Green Gables, for sure. As a redhead, I could totally relate! I would love to win a copy of Riel's book. There are many books I have really enjoyed, but one series I remember are the Jan Karon Mitford series books. Thanks for the giveaway. That tree is gorgeous! I can't wait till our flowering trees start to bloom, which probably won't be till early April. I love that center house too! I find it hard not to relate to any characters in any book I read! Thanks for the giveaway! Oh, you made me laugh a couple of times in this post! Giveaway from an author and one of my countrywomen? Yay! I'm going to have to say that the first book I can remember using a flashlight to read under the covers way past bedtime at a young age was Black Beauty, and reading from the horse's perspective taught me that a character doesn't have to be a person. I cried for BB and wanted so badly for things to turn out well in the end. Loved it. Still love it. 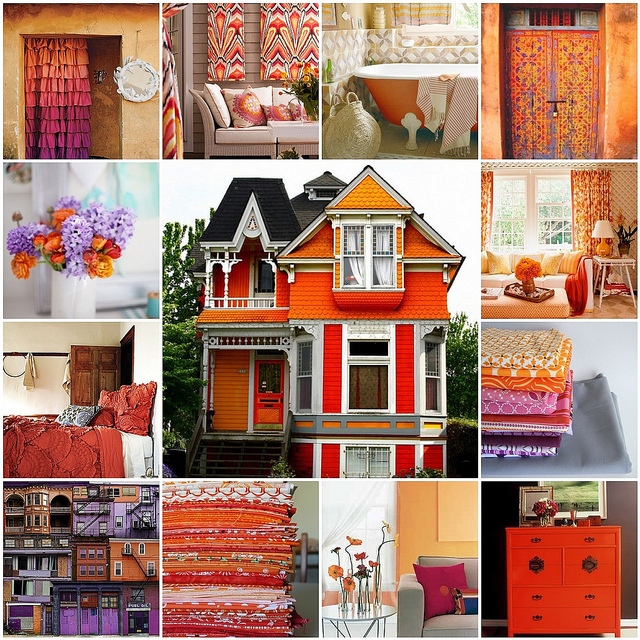 It's so cool that your orange fabric showed up in Maureen's collage. But then you are the orange expert! One of my favorite series growing up was The Little House on the Prairie books. Those books have stood the test of time! One of my favorite books is Redeeming Love by Francine Rivers. I would so love to win this book. Thanks for the chance. I would love to have a good book to curl up by the fire and read! Thank you! Riel - a fellow Canadian - is awesome! I have her book on hold at the library, but I'd love to win a copy. I love love love to read but I rarely reread books. Too many books, not enough time! I read a really interesting book recently - The Revisionists. Dystopian future/science fiction. Most cool. Que maravilha,já tive meus dias de leitura séria.Agora com neto,só literatura infantil,que eram das minhas meninas.Gato de Botas,Os três porquinhos etc...É muito divertido vê-lo gargalhar não das estórias,mas das macaquices da vó.Menino esperto,não?Obrigado e muitas bençãos para você. Wow! Thanks for such an awesome giveaway. Thanks Riel! I've always loved Anne Shirley from Anne of Green Gables. More recently Christy Miller & Katie Weldon in books by Robin Jones Gunn. You are so adorable and that truck is hilarious! I love the selvedge blocks! And the book sounds great. I re-read all the books I own (and I've read some of them at least a dozen times) so I'm afraid I can't pick just one as the rest would get jealous!! The one I'm re-reading at the moment is 'Divas don't knit' by Gil McNeil - the main character has such a lovely, wry sense of humour and I often find myself chuckling!! I would love to read Riel's book! I never read books twice - there are too many books out there. I loved the Red Tent but the book that I most wanted to 'be in' was the Guernsey Literary and Potato Peel Pie Society. I just wanted to be friends with every character. Right now I am really into dystopian novels. A lot of times they are really similar, but I love reading the different details about the world the author has created! Thanks for the giveaway! I like the selvedge blocks. I've been trying to get my hands on Riels book for a while now. The characters from the Miss Read books have stayed with me and I often return to that little village.